I dislike every time that I plug in my i-phone that apple opens i-photo by default. Frustratingly I put up with this for too long when it was a really easy solution. If you’d like to stop i-photo opening when you plug in your i-phone then keep reading. I’ve laid it out step by step for anyone else who might be having the same issue. Under the general tab click on the dropdown menu “connecting camera opens”. Select “No application” and close it. 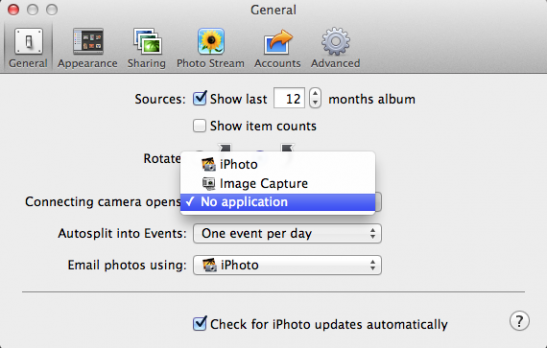 No more iphoto automatically opening. Tartine Bread - I've got the bug! The New Point Break Trailer is Here!